General TV Channel / Grand Lille TV is a local news channel broadcast on the Lille metropolis. Grand Lille TV is a channel financed by private capital contributed by its shareholders: SECOM SA, editor of Télé Melody, SASP LOSC (Michel Seydoux Investissements) and SARL SPID publishing the economic newspaper La Gazette Nord Pas de Calais and capital Public authorities contributed by the Hauts-de-France region. Initially installed Tourcoing, Grand Lille TV has chosen to establish its headquarters near the Urban Community of Lille in Villeneuve-d'Ascq, near the new district around the Pierre Mauroy stadium in 4 cantons. 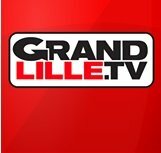 Grand Lille TV aims to be a regional news channel, leaving plenty of space for live news flashes. A live flash is broadcast every 15 minutes from 7am to 9pm. Every night at 21:00, broadcast exclusively and in full last home game of the France Championship football or the UEFA the LOSC.